Although the new A7S II seems like a rather modest upgrade of last year's A7S model on paper, in reality it offers enough new features, especially for videographers, and usability enhancements to justify the increase in both size and cost. The Sony A7S II now features the same very effective 5-axis image stabilisation that made its debut on the A7R II model. While not quite as effective as the Olympus E-M5 II's 5-stop IS, the Sony A7S II's system is remarkable given the sensor size (more than 4x bigger than the Olympus' Micro Four Thirds sensor), and it also works with any lens that you care to attach to the camera for both stills and video. Other key improvements include the electronic viewfinder, again borrowed from the A7R II, and the enhanced auto focus system with 169 AF points which can operate down to light levels as low as EV -4, although it's a shame that there's no phase-detection as on the A7R II. The A7S II's 12.2 megapixel sensor continues to provide excellent results from ISO 50-12,800, while ISO 25,600 and 51,200 are fine for making smaller prints and web use. The fastest settings of 102,400, 204,800 and 409,600 are very noisy but astonishingly do let you shoot in almost total darkness. The A7S II and the fast Carl Zeiss 35mm f/1.4 lens that we predominantly tested it with make it hard to resist the lure of shooting wide-open at f/1.4 in combination with such a big sensor and vast ISO range. There are lots of new benefits for videographers - internal 4K video recording with full pixel readout without pixel binning in the full-frame format and Full HD 120fps and 4x/5x slow motion recording being the main two - which make the A7S II well worth upgrading to from its predecessor. The A7S II has also addressed most of its predecessor's flaws. Poor battery life, lack of touchscreen functionality, and a non-articulating screen are the main negative points that we'd hope to see addressed on the next model, but we can live without them given everything else that the A7S II has to offer. As the A7S II inherits the design of the A7R II, it is also substantially heavier than the original model, which may put some people off, and the launch price has also been increased. 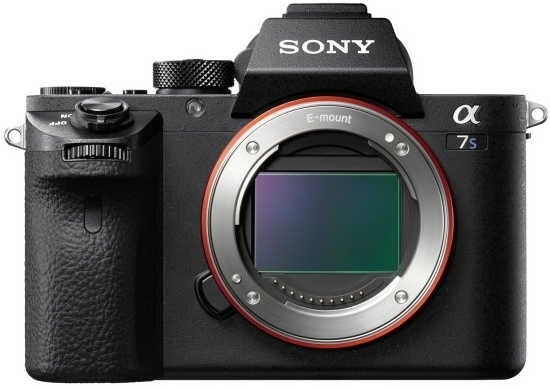 All in all, though, the A7S II certainly benefits from Sony's incredibly aggressive strategy in the cmera market, and is an essential purchase if you're predominantly a low-light stills shooter or videographer.